It didn’t take them long, did it? In fact, it took the Prime Minister one hour and forty seven minutes following the announcement of the Scottish referendum result to move the debate onto the Tory obsession of ‘English votes for English laws’ (EVEL). 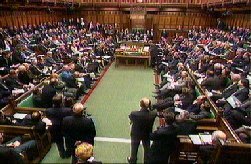 On returning to Westminster, the debate which was scheduled to look at the referendum result and further devolution became exclusively focussed on EVEL, as the debate was effectively hijacked. It became the usual Westminster spat with the Tories demanding that EVEL is established and Labour arguing that the future of the UK was dependent on me, a member for Perthshire, voting on policing arrangements in Peckham and Plymouth. Westminster is just sick and tired of talk of Scottish devolution. Backbench members of all the UK parties have just about had enough and they are- quite rightly- beginning to enquire as to, ‘when is it my constituency’s turn’? Westminster Tory MPs were effectively told to be silent about their real concerns about EVEL and Barnett until the referendum was over and were assured that they would be addressed as soon as the referendum was won. This is the real Westminster vow that is now being honoured. To most Scots, EVEL is an issue of supreme insignificance and unimportance. I suspect most Scots would sympathise with English MPs and nonchalantly agree that Scots MPs shouldn’t vote on English-only legislation! The SNP already doesn’t vote on English-only legislation, not because we are particularly concerned about what the Prime Minister thinks, but because we do believe that it is unfair and is a waste of our time. However, we must make a distinction between English-only legislation and the Scottish interest. Sometime the two clash and as the debate about English votes progresses, it is important that English-only legislation takes account of this. Although it was notionally English-only legislation, we voted on tuition fees because their introduction in England had a massive impact on the potential funding of our Scottish universities. We will similarly vote on any legislation that increases the private sector in the English NHS. The debate about the NHS in the referendum clearly exposed the interconnectedness with English privatisation and the funding of our Scottish NHS. For Labour, this is a different matter entirely. In what will be a tight Parliament next session, Labour are still of the notion that it will be their Scottish contingent of MPs that will make the difference in having their legislation implemented throughout the UK. All this nonsense from Gordon Brown about ‘two classes of MPs’ and ‘a threat to the UK itself’ is little more than Labour special pleading. Labour need to rise above their narrow party interest and join us in ensuring that we get legislation on EVEL that recognises the Scottish interest. EVEL is just the first assault of the Westminster No backlash. Westminster MPs’ main target is Barnett. Already over a hundred of them have called for a debate to have this ‘reviewed’. The guarantee written in The Vow means absolutely nothing according to Tory MPs – as a Tory MP correctly reminded the House in the hijacked debate – ‘The Vow was not made by Parliament’. We also have to remember that any agreement made in the Smith Commission will also have to be approved by an increasingly erratic Westminster under pressure from UKIP. All of this was predicted and we have to make the most of it. This is why we need the fullest range of powers for our nation so that Westminster has as little as possible to do in the running of our affairs. This entry was posted in Uncategorized on October 28, 2014 by petewishart. Can I, first of all thank you, your Government and the Speaker for the full day’s debate that will now take place on Tuesday to discuss ‘further devolution for Scotland’? I am sure you would agree that the half hour adjournment debate granted to the Right Honourable member for Kirkcaldy and Cowdenbeath was clearly insufficient to deal with all the issues to do with ‘the vow’ and the developments since it first appeared in the Daily Record newspaper. Prime Minister, I am firmly of the view that it must be you that should lead this debate. You are the key signatory of ‘the vow’ and you were the first to raise the issue of English votes for English laws (EVEL) on the morning of the 19th of September, hours after the referendum result was announced. You have since hinted that the progress of EVEL should be tied to the granting of more powers to the Scottish people. This was introduced exclusively by you and was never mentioned in ‘the vow’ or in any discussion about ‘more powers’ for Scotland prior to the referendum. The people of Scotland are now under the impression that the ‘more powers’ offer is in some way conditional on the progress of EVEL. I strongly believe that you must, in the House of Commons, look the people of Scotland in the eye and say that these ‘more powers’ will be delivered without any such condition. Such is the concern, that the architect of the ‘vow’, the Right Honourable Member for Kirkcaldy and Cowdenbeath, has felt it necessary to secure a 100,000 strong petition to oblige you to honour the ‘vow’; in addition, the Deputy Prime Minister fears that the plans for ‘more powers’ are being “hijacked, diluted and delayed”. The Scottish people will not accept any dilution of ‘the vow’ or have the debate about ‘more powers’ descend in to an unseemly spat between the main UK parties. That is why it is imperative that you lead this debate, with the Leader of the Opposition replying. Prime Minister, I know that you are passionate about what you see as the injustice of Scottish members voting on English-only legislation and you will no doubt be aware that the SNP MPs do not vote on English-only legislation that does not impact on Scotland. Can I be so brave as to suggest a way forward in securing a consensus in the House and secure parity across all legislation? That is to lead by example. It has come to my attention that the one Conservative member from Scotland consistently votes on English-only legislation. Will you now confirm that the Honourable member for Dumfriesshire, Clydesdale and Tweeddale will no longer vote on any further English only legislation so that no charge of possible hypocrisy could be levelled at you or your Government’s approach to this issue? Next week, we also have Scottish Questions. Five Conservative members have questions on the Order Paper, many more will hope to ask a question to the Secretary of State. If Scottish members are to absent themselves from English only issues will English Conservative members similarly respect that Scottish business is the exclusive preserve of Scottish members? In addition, specifically on EVEL, to be consistent there surely must be a similar process for Scottish votes for Scottish legislation. Whilst you should lead the debate next week as the key signatory of the ‘vow’, English Conservative members of Parliament must surely refrain from participating in this Scottish only debate and refrain from voting if any question is put to the House. Prime Minister, we agree that Scottish members should refrain from voting on English-only legislation, but this should be dealt with distinctly and separately. You must come to the House and confirm that this will be the case. But please come light-handed and similarly leave Scottish business to Scottish members. That is surely the fair way forward? 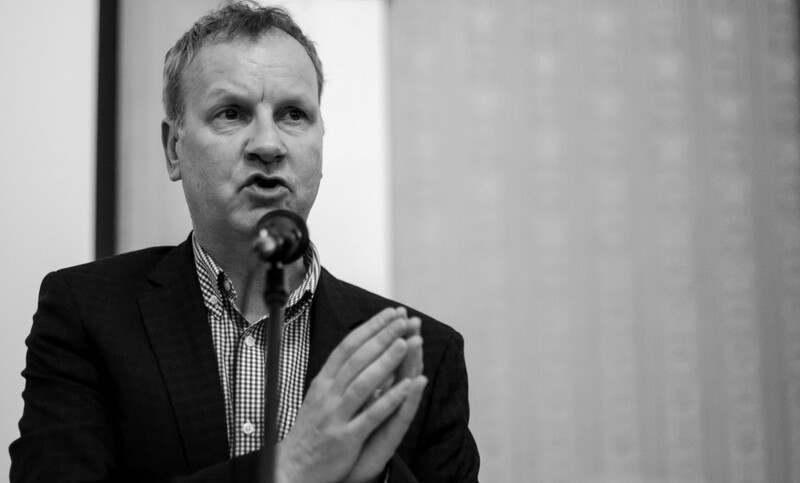 This entry was posted in Uncategorized on October 9, 2014 by petewishart. 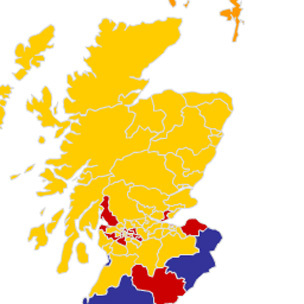 In 2011 the SNP won the most remarkable landslide victory. We won from Caithness to Cumnock. We won in every city in Scotland and we won across every social class, securing votes from all backgrounds. We won this astonishing victory on a manifesto that had a range of measures to improve our society and community at every level and we were rewarded for the good government we had demonstrated in the previous four years. We pledged to retain free education, keep free prescriptions and freeze the council tax. It was what could only be called a ‘One Scotland’ platform. We secured support and votes from all demographics and from people from all social backgrounds. On September the 18th, the Yes vote scored almost exactly the same percentage share of the vote that the SNP secured in 2011, but the composition of that vote could not be more different. The Yes vote was more class-based. It was larger in working class areas and areas of high deprivation, but it was depressed in areas of affluence and parts of Scotland with a large middle class and rural community. Much has been made of the demographics of the No vote and, whilst it is true we failed to reach the majority of over 65s, we also failed to reach large parts of Scotland’s middle class. We have to take responsibility for that and ask ourselves why the independence project failed to to be an attractive proposition to so many parts of aspiring and middle class Scotland. It is true that there was a correlation with parts of Scotland with a residual Tory vote and a high No vote. The Tories were the most enthusiastic “No-ers”. They secured the Government that Scotland didn’t vote for and were, therefore, less inclined to be attracted by the democracy arguments. They also felt the greatest attachment to the idea of a sense of ‘Britishness’ and attachment to the UK state. But we have to acknowledge that there were many middle class voters beyond the depressed ranks of Conservative voters who could not be convinced of the case for an independent Scotland. It is this group that we also have to address and convince as we develop the SNP and grow the Yes consensus. The developing narrative of the Yes case, particularly in the closing months, was one of radical social change. Most of the modelling offered beyond that, which was promoted in the white paper, came from the left. Whilst we must be grateful for the intelligent and persuasive way that the case was developed, there just did not seem to be the same success in securing the support of a sceptical middle class. Groups like Business for Scotland worked tirelessly to demonstrate the opportunities of independence to a predominately middle class business community, approaches to middle class voters seemed almost half-hearted. What we must do as a party now is get that ‘One Scotland’ message back on track and reinforced, listen to the concerns of “middle Scotland” and understand more clearly why so many of them felt they could not join us in supporting our nation’s independence. To Labour, the SNP are still the ‘tartan Tories’ and to the Tories we remain ‘radical left wingers’. That demonstrates to me that we are in just about the right place. What we must not do is abandon this ‘One Scotland’ approach of the last Scottish election. We must continue our commitment to social justice and redistribution with an attractive range of policies that also appeal to aspiring Scotland. The referendum suggested that there is a desire for real and substantial change, but if we are to radically transform our community, we must take the whole nation with us. When we, therefore, get out and debate and discuss the way forward for our nation, let’s remember that we are ‘One Scotland’ and it is this ‘One Scotland’ that we hope to continue to lead. This entry was posted in Uncategorized on October 5, 2014 by petewishart.